It has been five years since the bereaved families and the survivors of the bombings on London’s transport network have been waiting to examine, scrutinise and question those responsible for safeguarding the country from such acts of violence. Finally, they have been given their chance. This was not through an independent inquiry, but through an inquest which begun on 11 October and will publish its report in March 2011, and aims to, amongst other things, scrutinise the response of the emergency services, the failure of communications between those that were under-ground and over-ground and, most importantly, examine whether the attacks could have been prevented if the security services and police had acted on the information they had in their possession for 17 entire months prior to the attacks. In the one week that the inquest has been running, important and interesting information has already been revealed. For example, the attacks may have been planned for a different day and different locations, staff working in the underground had failed to accept that a terrorist attack had occurred until 43 minutes had passed and the bombers were, according to a witness, in high-spirits and a celebratory mood. Less interesting and more gloomy are the videos of the bombers making their final journeys into London and the audio-recordings of the emergency calls in the immediate aftermath of the bombings where clarifications, help and ambulances are being sought. What will undoubtedly be more sombre than these videos and audio-recordings will be the questioning and scrutiny of MI5 and the police, who first encountered two of the bombers, Mohammed Siddique Khan and Shehzad Tanweer, in 2004 but failed to track, monitor or intercept them. Counsel to the inquests, Hugo Keith QC, argued that even though one of the objectives of the inquest was to examine whether the attacks could have been prevented, the “evidence [does] not necessarily support [the] theory … that the events of 7 July 2005 would have been prevented” if Khan and Tanweer were intercepted. The view from Christopher Coltart who is representing seven of the bereaved families opposes this claim. In a pre-inquest hearing, Coltart told the coroner that in the 15-month period prior to the bombings, MI5 and the police had enough information on Khan and Tanweer to understand the seriousness of threat they posed. He added: “if … appropriate, available and proportionate action had been taken at an earlier stage, it may have been possible that the events of 7 July could have been avoided”. These conflicting accounts are merely a snippet of what continues to be a contested and difficult debate; notions that are exacerbated by the desire of the security services and police to keep intelligence and information secret, whilst having their evidence heard in closed hearings. As is common with terrorism-related cases, the concept of ‘secret evidence’ and its affiliated dilemmas have become well-known, but its commonness does nothing by way of consoling the bereaved families and survivors, who have waited for over five years for a full and public inquiry. It seems their disappointment will be sustained and the ‘lessons’ of 7/7 will not be learned to the fullest extent possible. This is not to mention that the security services will continue to be seen as a largely unaccountable organisation. The only way this will be possible is if a full and public investigation of what actually happened takes place. Indeed the inquest is an important step towards trying to establish what the facts of 7/7 are and what the lessons of 7/7 should be, but the inquest should not be viewed in isolation and certainly not seen as the end objective. An independent public inquiry – free from all interferences and non-cooperation – that will examine ‘all’ evidence (secret and non-secret) and hold those to account that may have been ‘allegedly’ incompetent or careless in their conduct is what is needed. 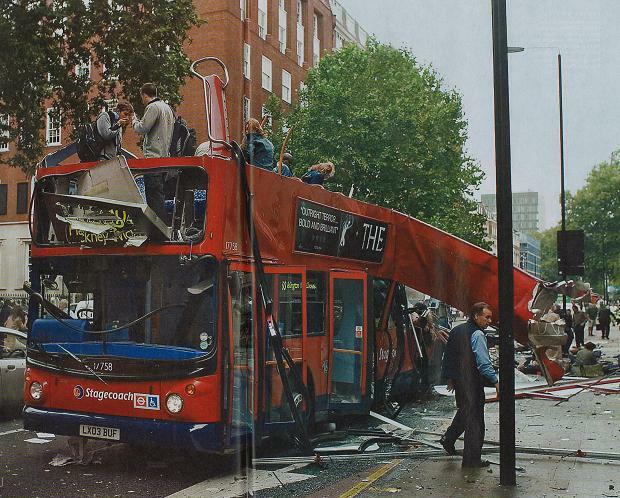 Only after a fully independent inquiry has been conducted will the public be in a better position to understand what actually happened on 7/7 and whether anything can be learned and taken forward. Until then, the pressure for an inquiry must continue. Rizwaan Sabir is a human rights activist and doctoral researcher at the University of Strathclyde. He is researching the role of Islam in British and Scottish government policy, with a special focus on counter-terrorism. In May 2008 he was detained for six days as a suspected member of al-Qaida for being in possession of primary research literature. He was released without charge. His column on counter-terrorism and security appears every other Friday. To start with Islam seriosly condems, and so do I condem any kind of terrorism, be it an individual, an organisation or state terrorism. There is a need to bring the awareness about the guidelines of the Qur’an, particularly to young British Muslims. Hopefully my book will be published in due course of time which provides the guidelines from the Qur’an. As regards 7/7, my heart goes with the families who have suffered, and I am pleased to join you in your efforts to support them. Besides the affected families, it adversally affects the confidence of the whole nation in our systems and procedures, which failed to prevent such an act, and it leaves much to be desired. The intelligence is the key to success, and in this particular case two terrorists must have been under surveillance. The failure can be attributed to the lack of deliberate procedures, and timely decision to arrest the suspects. In my opinion, Inquest, public enquiry or any other enquiry, as long as we can identify the areas of weaknesses in the systems and procedures with a view to take specific measures for future to protect Great Britain, should be the top priority. Fully agree with this article. The limited remit of this enquiry is quite in keeping with all the other investigations (on both sides of the Atlantic) into aspects of the ‘war on terror’: the numerous investigations into pre-war intelligence on Iraq’s WMD were designed to look only at the intelligence services and what they ‘got wrong’ as opposed to the political manipulation of intelligence. So I expect that this limited inquest will also be used to deflect calls for greater scrutiny and will be held up by the government as evidence that they have investigated 7/7 and that those who call for further investigations are just spoilers who are soft on terrorism.